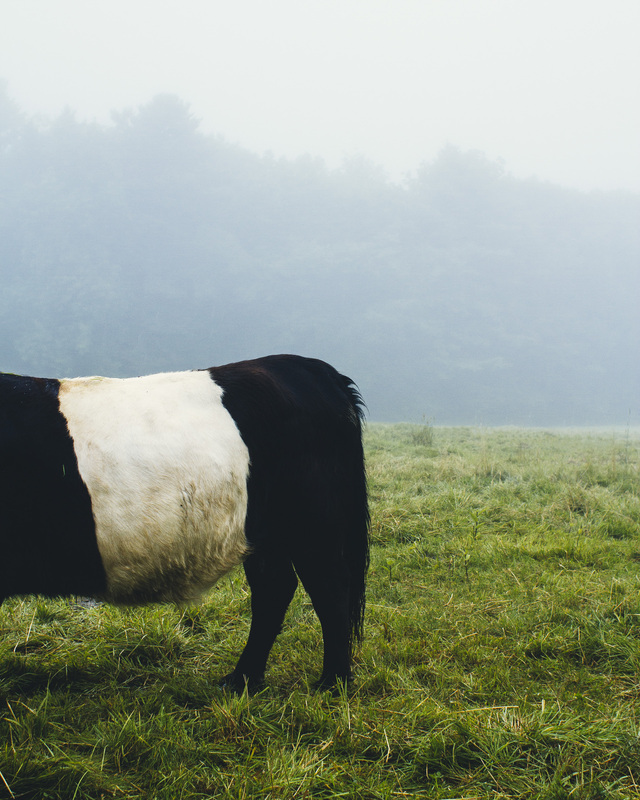 Belted Galloway cow along the central coast of Maine. The Belted Galloway are a heritage beef breed of cattle which are primarily raised for their quality marbled beef and adaptability to living on poor quality pastures. And because they look like an Oreo cookies.